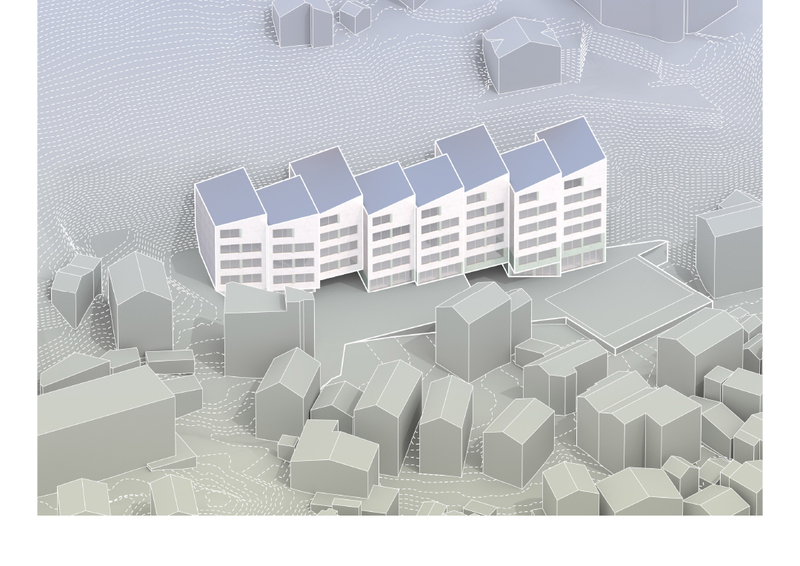 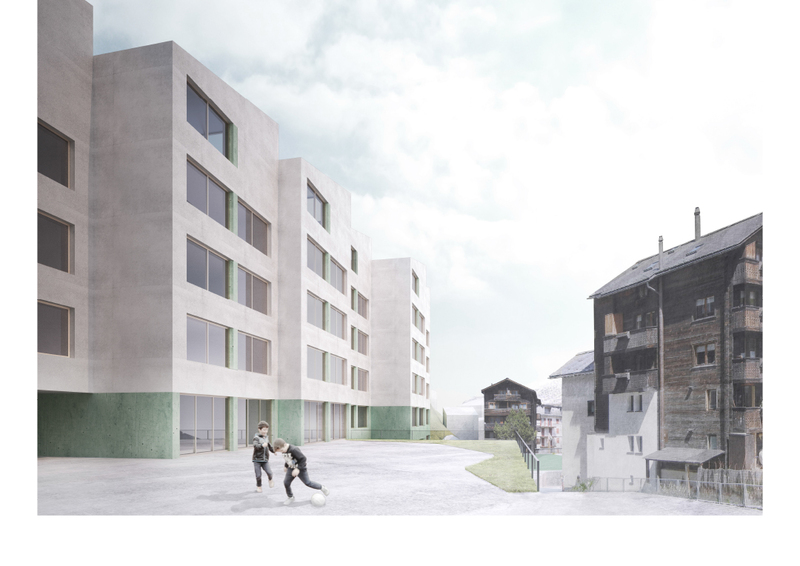 In-between village and mountain, the design for a school crossbreeds the morphology of the town of Zermatt and the crystalline nature of its surrounding cliffs. 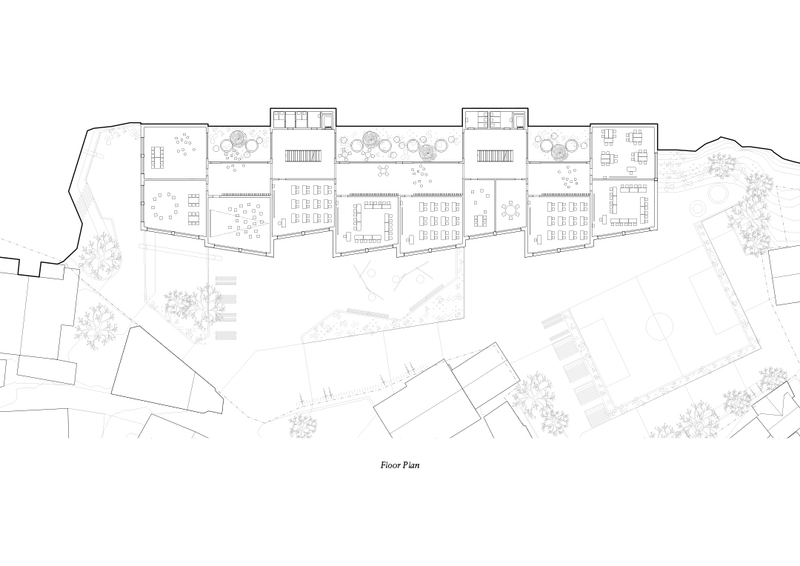 45 classrooms are arranged in a way that emphazises the verticality of its built and natural surrounding. 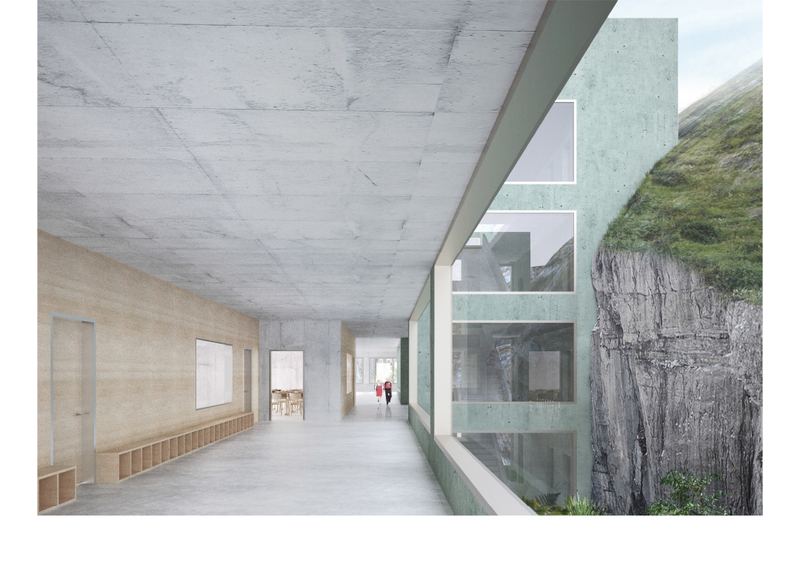 Larger programs like auditorium and gym are hidden underground, creating a cascade of open spaces above – a rarity in this dense alpine village. 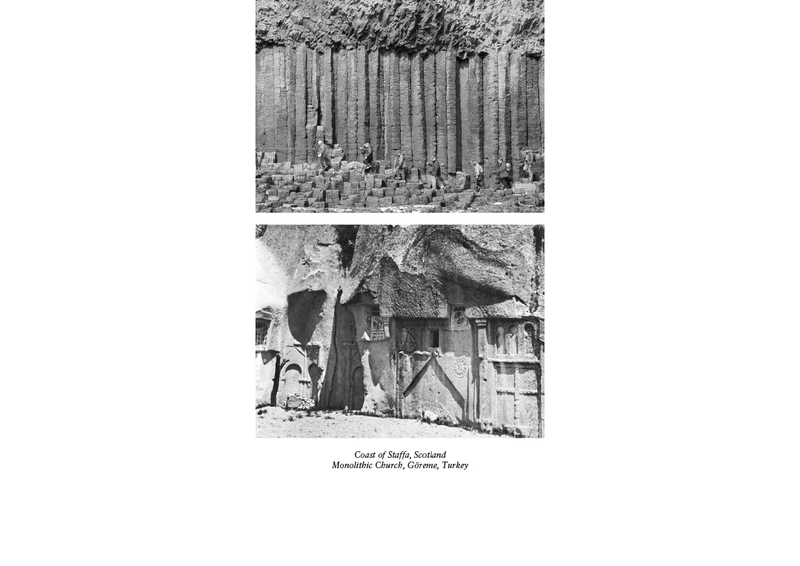 While the exterior draws from the image of a rock formation, the actual rock reveals itself within, framing vertical voids as inclusions in a geological amalgam of natural and artificial.